This blog have Information about Travel, Backpacker, Tourist attraction and the best place for Vacation. In the mid-1980s, when I was about 10 years old, I went on a narrow boat holiday with my family on the Oxford Canal. We chugged south on a hired narrow boat from Fenny Compton in Warwickshire towards Oxford. The canal runs parallel to the River Cherwell, actually incorporating a part of the river in one stretch, which I remember us navigating. The Oxford Canal was once an important part of a network of commercial inland waterways, forming a trade route linking London to Coventry and places beyond. 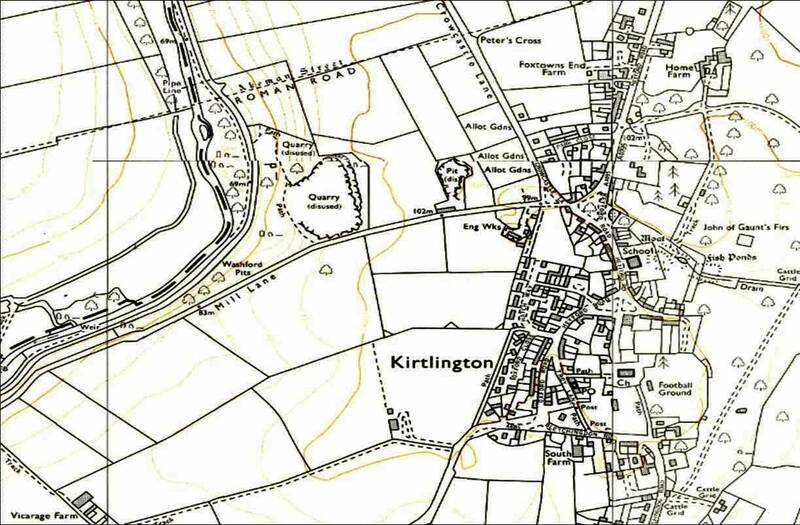 Plans to start work on the construction of the canal commenced in 1769, and surveying of the route was begun by the celebrated engineer, James Brindley (1716-1772), until the project was later taken over by his brother-in-law who saw the project through to eventual completion in 1790. The canal was mainly used to ship coal, stone, and agricultural products. Its prominence waned after the completion of the Grand Junction Canal in 1805. 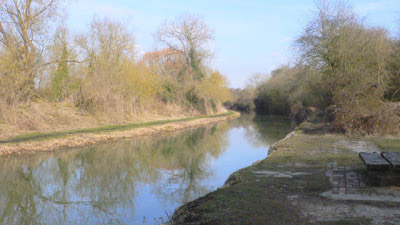 The new canal offered a more direct and therefore faster route from London to the Midlands, but the commercial use of the Oxford Canal continued into the 20th century right up until the 1960s. Thereafter it came to be used by the pleasure boat industry instead. 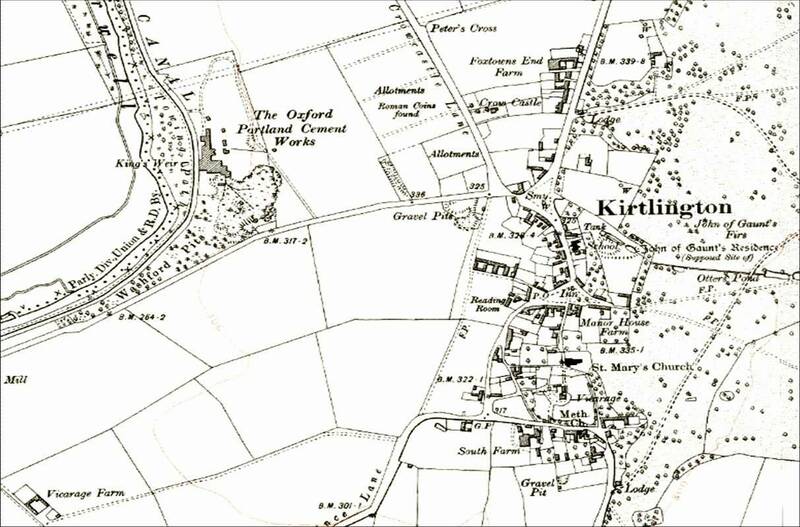 The Oxford Canal passes close to the village of Kirtlington in Oxfordshire (a few miles west of Bicester. 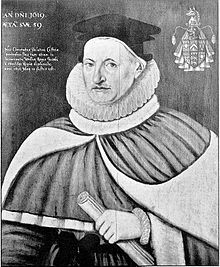 Kirtlington was once the manor of Sir Thomas Chamberlayne (died 1625), Chief Justice of Chester, and – no relation of mine – at least not that I know of!). Here, on a bend in the canal, there is an old disused quarry, which is now a nature reserve. 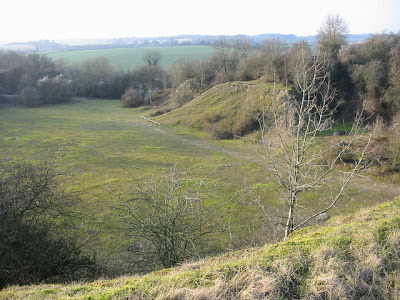 The quarry was run by The Oxford Portland Cement Works Company from around 1907 to 1928. The geology exposed by the quarry dates back to the Middle Jurassic (around 165 million years ago). The limestone and clays here “of the Great Oolitic Group” have yielded a number of interesting fossil finds, including dinosaur bones such as the Cetiosaurus, Megalosaurus, and Plesiosaurus, plus Pterosaurs– flying reptiles, as well as sharks, crocodiles, fish, and mammals. These fossil finds suggest the area was once a shallow coastal region rather like the present day Everglades in Florida. We moored up alongside the old stone embankment of the quarry, where the quarried stone used to be loaded onto barges. And after lunch we went to explore the old overgrown quarry. I remember the foot of the cliff face in the northeast corner was covered with quite large boulders from what looked like a recent rockfall. Climbing over these my brother chanced upon this remarkable fossil. 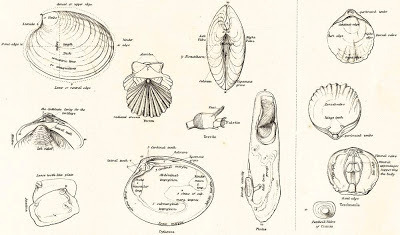 It’s a bivalve mollusc, of what looks like a type of shellfish still common on many shores around the world – known as a Tellina, which has a smooth white shell. This one is interesting because it has been broken open to reveal a crystalline formation within the shell cavity. We rooted around and found several other examples of this type of shellfish, but nothing quite so unusual as this one. 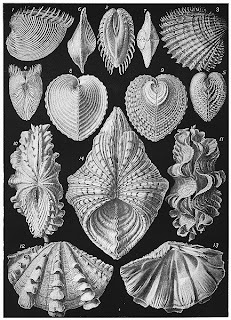 Bivalvia is a class of marine mollusc characterised by their hinged shells (or valves), which include oysters, clams, mussels, and scallops. They are filter feeders. Most bivalvia burrow down into the soft sediment of the seabed, others attach themselves to rockfaces, and some of them can swim. They first appear in the fossil record in the early Cambrian, some 500 million years ago. A few years later I was holidaying in Portugal, my second visit there, when I found on a beach in the Algarve this second fossilised example of a bivalve mollusc. This time with a ribbed shell, although again just as familiar as certain shells from our own time which can commonly be found washed up on beaches all around the world. These particular fossils however are embedded in a harder pink stone (sadly, not being a palaeontologist or geologist, I’m not exactly sure what type of stone this is). These two examples struck my imagination though, not simply because they are so old, but, rather because they are so contemporary. In some ways I find it more amazing that these particular animals so familiar to us have existed throughout so many different epochs; this seems more remarkable to me than the fact that there have been more exotic creatures which have long since fallen by the way. These bivalve fossils might very well be more humdrum than the enormous ammonites which people are so familiar with, but perhaps because of this it seems to me that they really are our living link to the distant past – much like the horseshoe crabs I wrote about from Hong Kong. It’s these types of hold-overs which really catch my imagination. I find it marvellous to picture a dinosaur feeding on the same kind of crustaceans which are served up in our own seafood restaurants in our cities and towns throughout the world today. 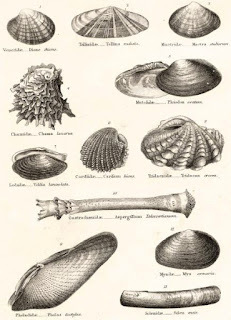 They are a link between two very different times and worlds eons apart but essentially the same in this one fundamental respect – that such kinds of shellfish have long been a source of food for many animals. 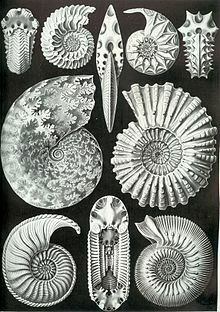 The ammonites have long since died out, vanished in the same mass extinction event which marked the demise of the dinosaurs, yet their near relatives the nautilus have ancestors which appear in the fossil record, some of which have even been found bearing teeth marks where their shells have been punctured in attacks by dinosaurs. Studying living nautilus can give us a glimpse as to how the ammonites might have swum and survived in oceans populated with very different kinds of predators to those the nautilus now live alongside. That sense of wonder which these fossils first inspired in me goes even closer to home though. I distinctly remember my first finding a silverfish in our bathroom when I was very young and my mother telling me that they were tiny insects which had survived since prehistoric times. Naturally, as with all young kids, I was heavily into my ‘dinosaur phase’ at the time and I simply couldn’t get enough of them – I was constantly copying the pictures from my dinosaur books and actually wishing I had been born as a Tyrannosaurus Rex! So to find a living dinosaur, even one ever so tiny as a silverfish actually living in our house simply blew my mind. Since then I have had an abiding respect for the silverfish (whose ancestors date back to the Triassic, some 250-200 million years ago), which has remained undiminished even after I learnt that they are the bibliophile’s main enemy as they love to feast on the starchy paper and glue of old book bindings. And it was with that same sense of wonder at the vast distance of time and continuity in the everyday, reaching back into the Middle Jurassic, which was reawakened by finding a silverfish in my empty bathtub the other day that lead me to dig out my old bivalve fossils from a tin box under my bed, as they are perhaps the earliest – and certainly the oldest – of my travel souvenirs. 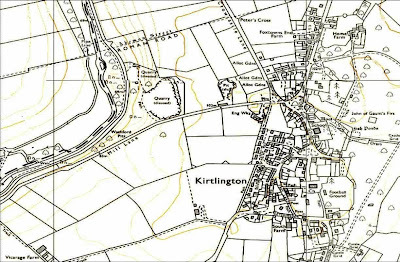 The photos of Kirtlington Quarry and the Old Kirtlington Quarry Wharf were taken by Chris Cox and Mike Toddrespectively, and sourced from Geograph.org.uk and used under Creative Commons Licence. 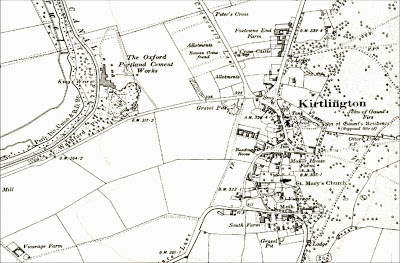 The maps of Kirtlington in 1923 and 1981 are reposted from the Kirtlington Village Website. And I'm not the only one who enjoyed hunting for fossils as a kid: David Attenborough and Richard Fortey go in search of Trilobites.